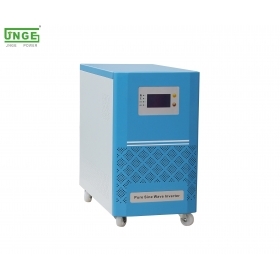 This is a 12V 24V 48V 96V 3000W pure sine wave power inverter which can generate 3000W of continuous power and up to 6000W of power at peak times (peak time reserve capacity is useful if more energy is required to start an appliance than for its continuous running). 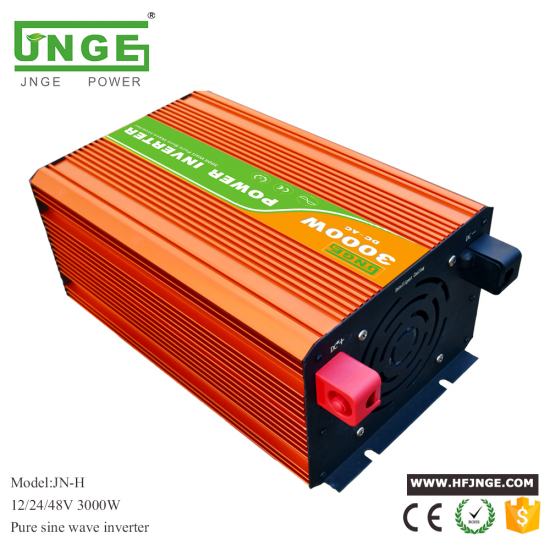 It is suitable for a broader range of appliances (for example, appliances with electric motors can not be powered by modified sine wave inverters) .It is more efficient compared to modified sine wave inverters. First of all, let's start with the definition. 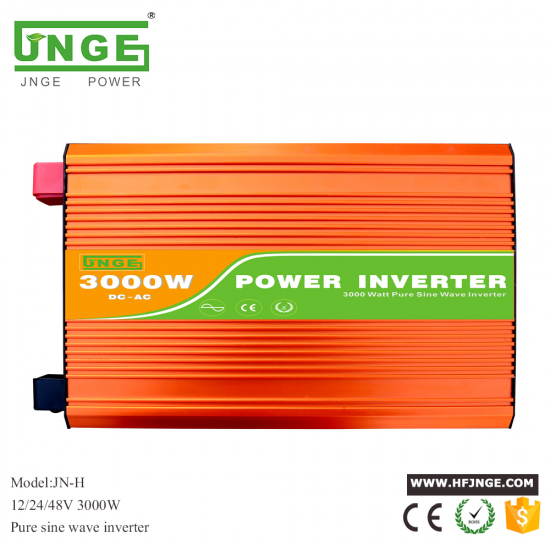 What is a power inverter? 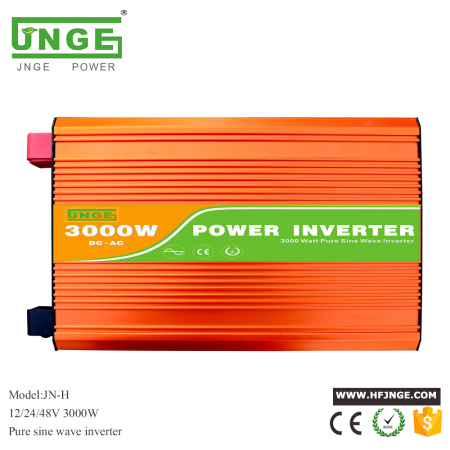 A power inverter is a device which converts battery power into mains power, i.e. it transforms 12V direct current (DC) into 230V alternating current (AC). 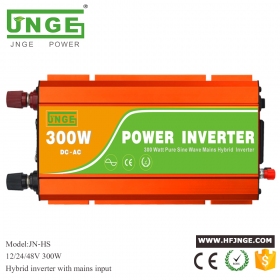 230V AC is the power supplied to our houses by utility companies, and this is the power required by most normal household appliances such as lights, TVs, fridges etc. In this article we are going focus on off-grid inverters only - i.e. 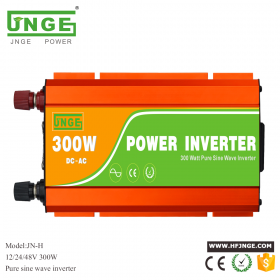 inverters which can be used to build an off-grid 230V solar system. 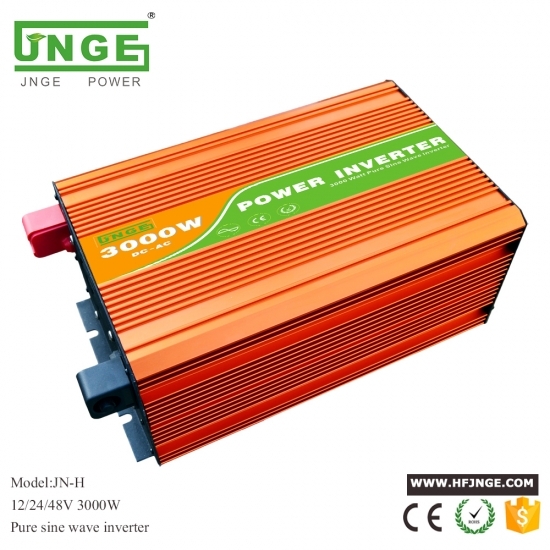 Which power inverter should I choose? So, which off-grid inverter is best for your battery / battery bank in a caravan, motorhome, boat or for a standalone off-grid solar system? 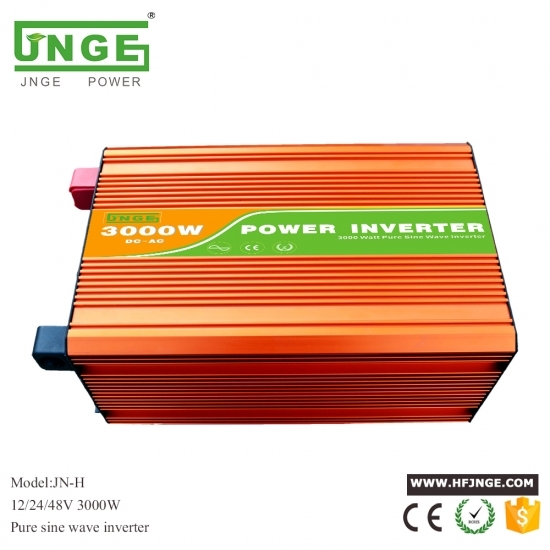 The type of power inverter you should choose depends on the type of power output you require. 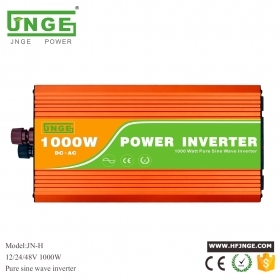 Pure sine waveinverters provide an output which follows a sine wave harmonically. This is similar to utility-supplied grid power. These inverters switch polarity ("+" and "-") between power cables smoothly; gradually increasing or reducing the voltage as required (in case you were wondering why inverters have to switch polarity: this is the essence of alternating current; polarity changes occur approximately 50-60 times per second). 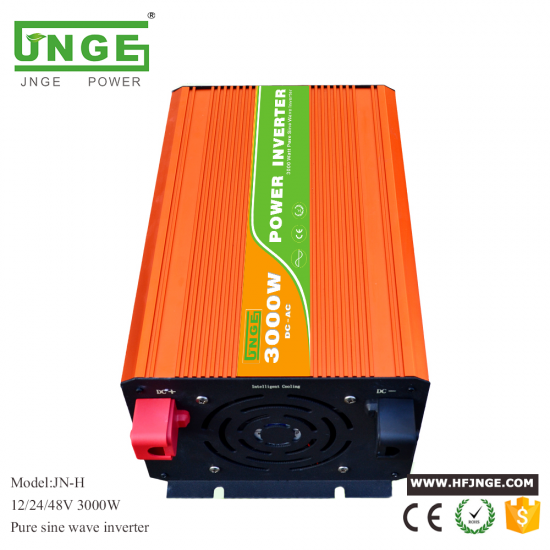 In contrast, a modified sine wave is a simulation of the pure sine wave output, where the inverter sharply increases or decresases the voltage in order to switch polarity. As a result, the output form closely matches pure sine wave but still has much greater distortions. 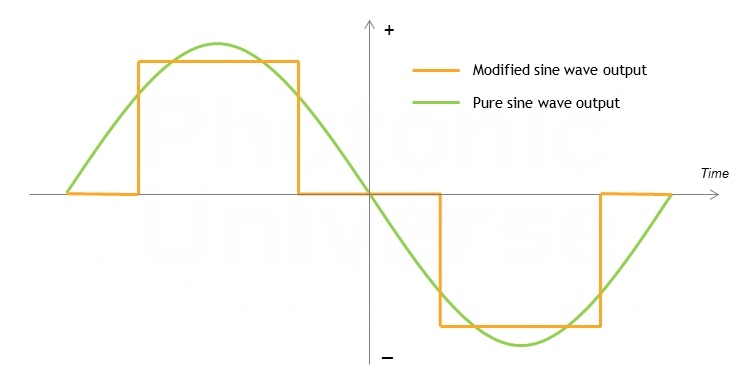 As you can see from this example, though the modified and pure sine wave produce the same levels of output, the pure sine wave inverter produces a much smoother and less erratic output. Ok, this seems very scientific, but what impact does your choice of inverter have in practice? 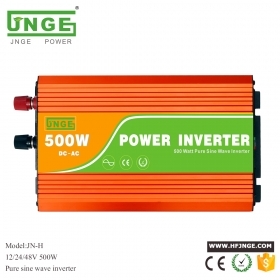 To sum up: although modified sine wave inverters can work well with many appliances including light bulbs, mobile phone chargers and office equipment, if your budget allows, we would always recommend buying a pure sine wave inverter. 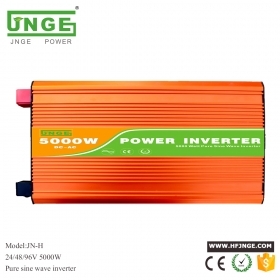 If you need to power small appliances such as a mobile phone charger or energy efficient light bulbs, you don't really need to buy a 2000W power inverter because it will consume significantly more power (even in standby mode) and work very inefficiently with small appliances. On the other hand, if you connect a coffee machine to a 150W inverter you will quickly blow a fuse (if not the inverter itself). 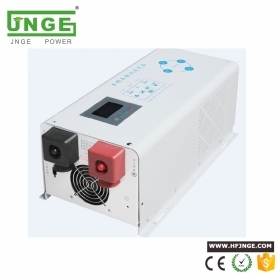 Therefore the power rating of the inverter should be chosen based on the power consumption of your load. The following table contains the typical power consumption of some standard household appliances and the recommended inverter rating. *Appliances marked with a star are likely to have a starting power consumption several times greater than their normal working power (typically this is caused by electric motors). This should be taken into account when choosing the correct size of inverter. For example, even though electric lawn mowers have a normal working power of 1000W, their starting power is over 4000W. 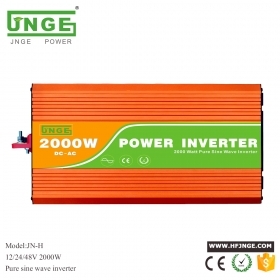 This means that an inverter with a continuous power of 2000W is not suitable, because its peak power is limited to only 4000W. Always take into account the starting power requirements of your equipment - especially devices with electric motors - when choosing the right inverter. **These appliances do not have an electric motor inside, but still have a variable power consumption with power spikes. Therefore they require a larger inverter than would be needed for other appliances with a similar nominal power rating. Please also note: this table is provided for general guidance only. The actual power consumption of your appliances, as well as starting power requirements, may vary considerably. In all cases you will need to check the specifications of your equipment to find their continuous and starting power requirements. 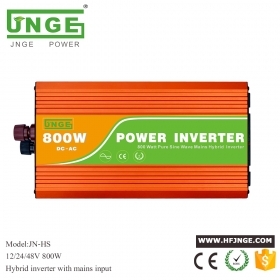 If more than one device is connected to the inverter, the total power consumption should be the sum of all appliances used. This will determine the total inverter power required. 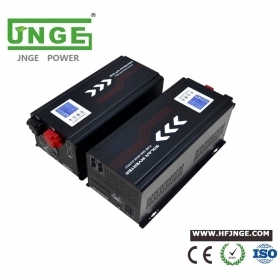 If you are looking for an inverter for your 12V leisure battery in a motorhome, caravan or boat, there isn't much choice in terms of the input voltage - you will need a 12V to 110 or 230V inverter, because your battery is 12V. However, if you are building a standalone off-grid solar system (e.g. 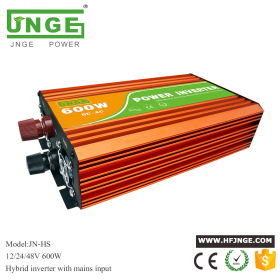 in a house, garden, shed or farm), then you can choose the voltage of your battery bank, and consequently, the input voltage of the inverter. The cables between your battery and the inverter do not have to be as thick as those used for a 12V battery bank and inverter. This is particularly important for large standalone solar systems with 2000W inverters. 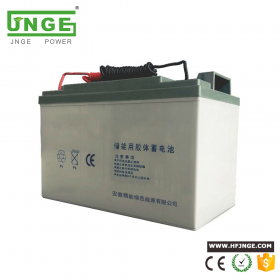 For such power levels, our recommendation is to opt for a 24V battery bank and an inverter with a 24V input voltage.